Ed served as Treasurer of NCS-Bergen County from 2011 to June 2017. He is retired from Columbia Bank, Fair Lawn NJ where he worked for 21 years. His most recent position was Executive Vice President and Chief Risk Officer. Prior to that that he held the positions of Controller, Treasurer and Director of Strategic Alliances with the bank. Previously he worked for Ernst and Ernst (Big 8 accounting firm) and the Prospect Park Savings bank, as bank Board member, EVP, COO and CFO. Ed is a graduate of Seton Hall University with a BS degree in accounting and an MBA from Fairleigh Dickinson University. In addition he serves as Chairman of the Board of Advisors of the Bethany Christian Services, Fair Lawn, NJ. Bethany is a global non-profit adoption and family service agency headquartered in Grand Rapids, Michigan. As the largest adoption agency in the US, Bethany’s mission calls them to demonstrate the love and compassion of Jesus Christ by protecting and enhancing the lives of children and families around the world. The Fair Lawn office directs and oversees the operations of Bethany offices in NY and Connecticut. 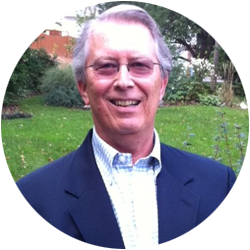 Ed also is on the Board of NCS-Bergen County (NJ), as well as its Treasurer and also Treasurer of NCS national. Ed and his wife Susan live in Wyckoff, NJ and attend the Hawthorne Gospel Church in Hawthorne. They have 2 children; Michelle and Dave. Michelle lives in Richmond, VA with her husband Patrick and Dave lives in New York City with his wife Lindsay. Ed and Susan feel blessed to have Patrick and Lindsay in their family and are the proud of grandparents of J.E.B., Reagan, Matti, Ginger, Lotte and Seanpatrick (all Michelle’s children). Ed can be reached at ed@gurak.com.